Explore the magnificent royal residence, home to Queen Elizabeth II. Since first sounding in 1859, Big Ben has been one of the most treasured symbols of Britain. The flooring in my room which was on the 3rd floor 316 I think, was really weird....every step you took anywhere in the bedroom or bathroom creaked like a “haunted house”. Please Mr General Manager go in there. There is obviously a false floor and it is not flush to the cement underneath. It should NEVER have been accepted from the contractor. Getting it fixed now will not be easy. Frankly you could not fault the rest of the room, nice paintwork, everything clean and tidy and everything there for an airport hotel. The free breakfast was not at all a disappointment which is often the case in small hotels who give a free breakfast. It also runs true with the other Ibis Styles I have stayed in, decor etc. Since I didn’t have a suitcase catching the bus from the airport and the return were fine and free too. The Hoppa is a lousy service and not worth the price they charge the airport hotels. If you’re looking for history, posh shopping, great food, and amazing entertainment, it’s time to get a little taste of London, UK. You’ll marvel at attractions like the British Museum, the National Gallery, and the Tower of London during your tour. Big Ben, Buckingham Place, the House of Parliament, and Westminster Abbey are sure to inspire you. 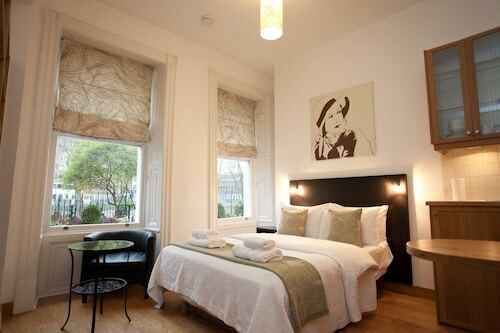 You’ll also love exploring Camden Market and taking a walk through Hyde Park. Of course, the best way to see London is to squeeze as much sightseeing in as possible before stopping for a plate of fish and cheap at lunchtime or a proper tea in the afternoon. Nearly every inch of gorgeous London is lined with amazing museums or important buildings from history. 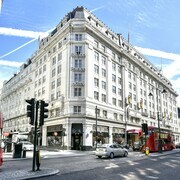 Expedia.co.nz is your London connection when it comes to getting the best deals near the most iconic spots in the city. 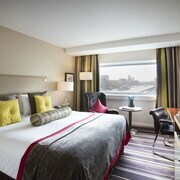 Let us connect you with amazing rates at London hotels you’ll love. 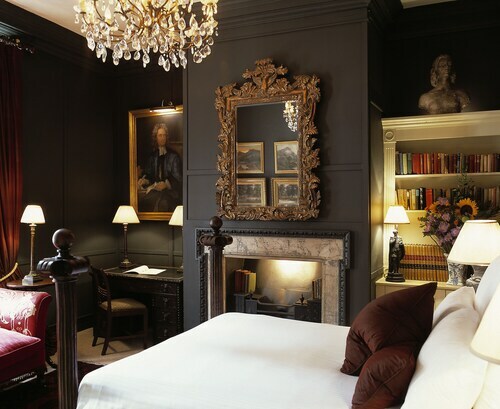 Are you ready to sleep like a king or queen inside a posh London hotel? 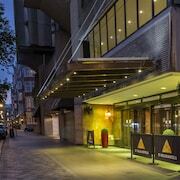 It's now easier than ever to book the accommodation of your dreams. 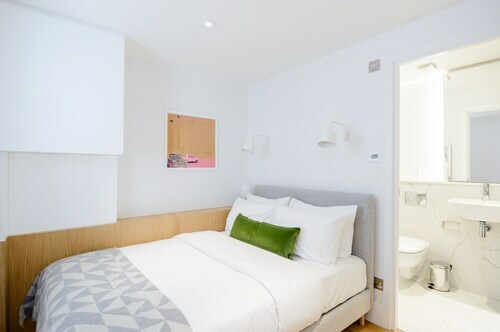 Our online booking technology makes it so simple to snag a London accommodation that works with your budget and schedule. Whether you want a fancy room near a palace or a cozy motel in a fun neighborhood that’s full of outdoor markets, we’ve got you covered. 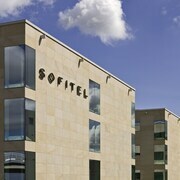 We can connect you with hotels and motels that are perfect for business travel, honeymoons, or fun family vacations. London’s rain is almost as much a part of its landscape as its palaces and cathedrals. You’ll love enjoying mild temperatures and light drizzles as you stroll through city blocks taking in gorgeous architecture and landmarks. Of course, a city as famous as London never has a bad season. People flock here every month of the year to be dazzled. 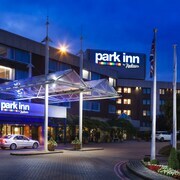 Every savvy travellers knows that Heathrow Airport (LHR) is the best place to land when visiting the United Kingdom. As the busiest airport in the UK, Heathrow offers easy access to the city via shuttles, taxis, and rental cars. When you plan a complete holiday using travel bargains from, Expedia.co.nz, you’ll have plenty of money left over for sightseeing and excursions. You can even splurge for some extra cakes at tea time if you bundle your overnight accommodation and flights together using one of our amazing holiday packages. 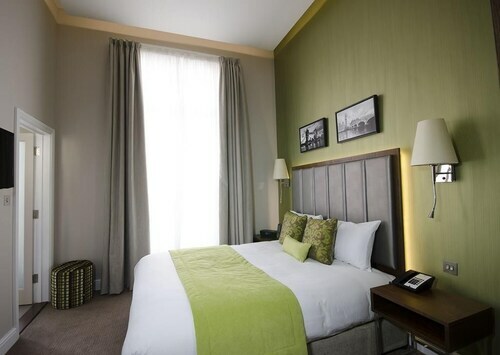 In addition to giving you access to great hotels in the heart of the city’s best neighborhoods, we also offer discounted rates at hotels near Heathrow airport. Staying near the airport is great if you’re eager to cut down on travel hassles. In addition, we offer exclusive discount rates on car rentals that will help you get to every attraction in the city without any fuss. You can even use your rental car to take an excursion into the British countryside for some quaint fun. Is this the year you're finally going to get to London? Time is ticking just like the hands on Big Ben. Use our amazing travel tools and bargains to plan a holiday that won't break the bank. Explore London with Expedia.co.nz’s Travel Guides to find the best flights, cars, holiday packages and more!